Christ College was founded in 1969 in Bangalore, Karnataka. It was an autonomous college and offered courses in law, education, management and technology streams. 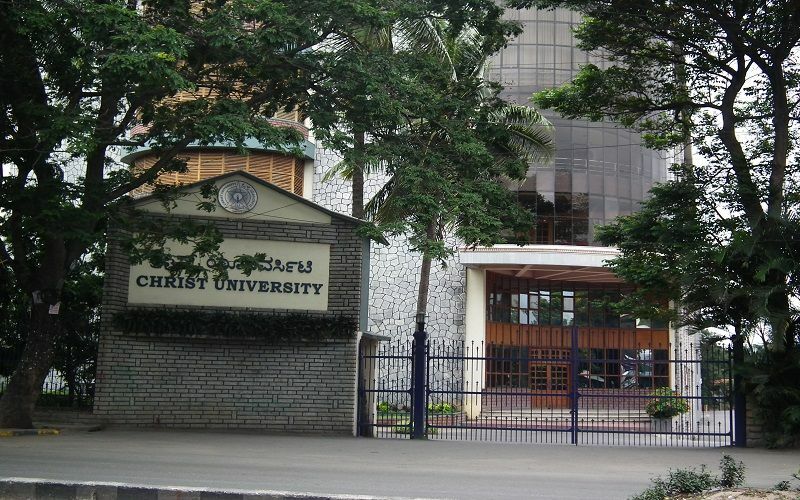 It was awarded deemed university status in 2008 and was renamed as Christ University. It is spread over 25 acres of land in the heart of the Bangalore city. 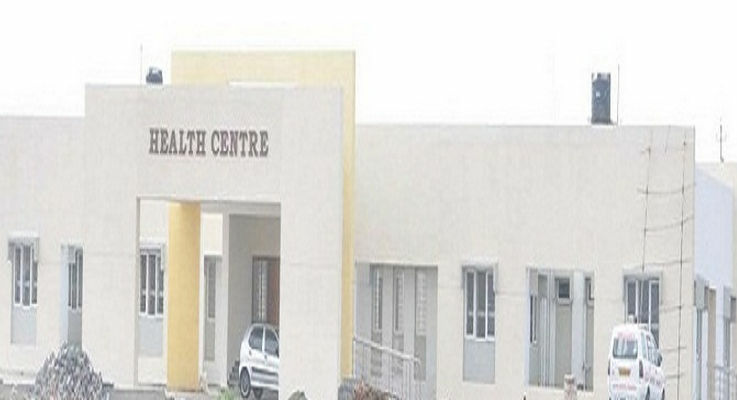 It provides hostel facility to accommodate 1000 students. It has 150 classrooms on the campus. The university admits more than 16000 students to its 48 UG, and 14 PG programs. The university was awarded A+ rating by NAAC in 2005. It was also ranked in 10 colleges in India by India Today in 2007. It was also ranked in top 25 colleges in the country by Outlook Magazine. The university has collaborations with many foreign universities like Western Michigan University, USA, OHIO University, USA, Norway Science University of Science and Technology, Griffith University Australia among others. Application forms are available in the official website or can be obtained from the University campus. The students have to select the respective program, enter personal and academic details and pay the processing fee amount. After successful completion, the applicants will receive an application number through mail and an e-admit card within 3-5 days. Further to this, the shortlisted students will be selected based on the personal interview and the group discussion rounds. The B.Arch program requires aspirants to write the NATA exam or JEE and the admission cycle for this program involves a Skill Assessment Test and a Personal Interview round. The University has three campuses. 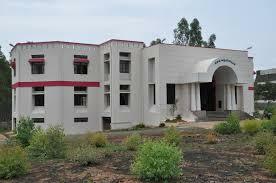 All of them offer separate hostel facilities to its students. There are three hostel accommodations named as Jonas Hall, Christ Hostel (A,B and C) and Hostel by Catholic Religious Nuns and fathers. Besania, Convent of St. Brigitts, Holy Cross Students Home, Sanjeevani Sannidhana, Savina Bhavan, Udaya Bhavan etc provide accommodation to females. Jonas Hostel along with accommodation to females (single, twin and triple sharing rooms) provides facilities like Wi-Fi, gym, study hall, kitchen, prayer hall and library. 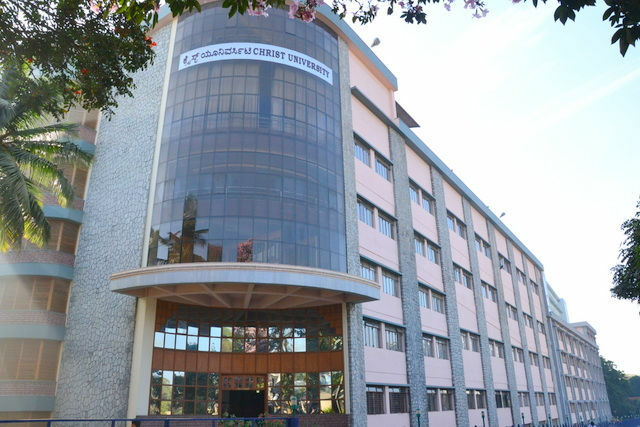 St Kuriakose Elias Hall: Provides accommodation to PG male students offering same facilities as Jonas hall. CST Vidyabhavan is also available for male students close to the campus. 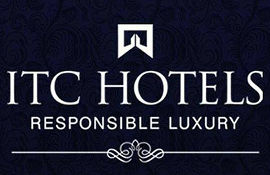 Two hostel complexes, Christ Hostel and Jyothi Nilaya are available for stay for female students. Christ Hostel is exclusively for females pursuing PG courses in the university and provide facilities like WiFi, Prayer hall, gym and library. 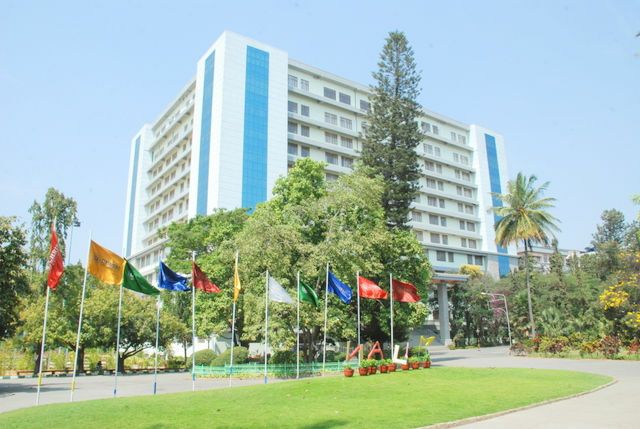 Devadan Hall provides same facilities as Christ Hostel to male students pursuing PG courses in Management and Engineering programmes as well as male students of UG Engineering programmes. 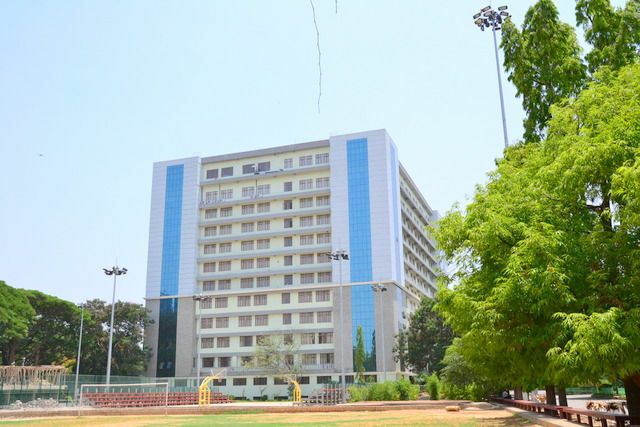 Christ Hall offers accommodation along with Wi-Fi, gym, study hall and library to the male students while Hostels by Catholic Religious Nuns are available for female students. Christ hostel does not provide food facility to the residents but the hostels by Catholic Nuns offer breakfast and dinner meals to the residents. The college has a great infrastructure and the standards of teaching a very high. The faculty is very experienced and helpful. I believe the college not just focuses on academic development but the overall growth of the students and the teachers and the staff ensure that it is done on a regular basis. For admission into the MBA program offered by the college, the student has to have a good score of any of the top management entrance test like cat, mat, set, CMAT. I scored around 80percentile in my MAT exam and applied to this college. Post this college also conduct an interview round. The total fees of the college is around 7 lakh rupees foreign students the fees is around 10 lacs. This is decent as compared to other colleges other top colleges which charge around same. The highest package offered was around 20 lacs. Placement criteria is great and the college has a separate placement cell which make sure that the student get good placement. The average placement is around 7 to 8 lacs. Top recruiting companies like HCL, rspl hire students in large numbers. Being a management student the human and network is very necessary for a student one she graduates. And the college is a great alumni network who today work in top companies. Interactive sessions between the alumni and the students which is very motivating and insightful towards the current working in the industry. Almost all of the faculties have over 10 years of experience and PhD degrees. The faculty is focused on teaching practically to the students rather than just giving them the textbook knowledge. They have a lot of experience an in-depth knowledge about the topics that it is. There always available for doubt clearing sessions as well as help us a lot during the placement. The campus life this college is very happening. Events like Rangoli competition dance competition, music competition and other extra curricular activities are pretty common. Ample opportunities are provided to each of the candidate so that no one is left out and it is unbiased. Being a top management college the stakes are pretty high and therefore the exam structure is pretty Complex and high stress is there but if the students studies from the beginning it won't be much difficult for him. The internships are very important for an MBA student and the college knows that and it provides summer as well as winter internships. The student it is mandatory for students to go for this internship otherwise they will not be allowed to sit in the exams and a detailed report needs to be submitted to their respective teacher. Teachers make sure that each and every student gets the company of their choice (atleast for top ranking students it ensures that). 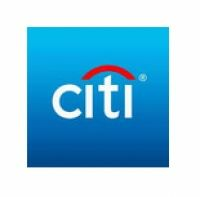 The college does help students to get loans from private and government banks. Scholarships are awarded to students especially meritorious students. Since I was an average students I did not get any. Exams are conducted very frequently. This has being giving students a lot of stress..A gap is required for the students to prepare and come for exam . So i would wish that the college provide time to prepare and come. I didnt write any entrance exams. I just submitted my application form, then i had an interview . I got selected from the interview process. I chose this course as it has a good scope and good placements. The fee of the college was manageable for but i cannot speak for everybody. Also the college offers scholarships to deserving students. I had paid around Rs 75,000k every years. Yes placements are very good in our college .i have heard around 90% of students get placed every year . 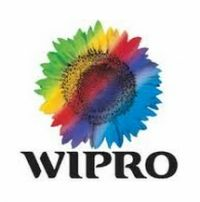 Most of the companies that come are Google , Apple, Microsoft , Wipro , Infosys etc . Their are many rounds conducted before placements like aptitude test, Group discussion , written test , personal interview etc. I am not residing in the hostel . After the initial 2 years stay in the PG I shifter into an apartment in the 3rd year. The PG has good facilities and average good , but it has a very good location advantage. The faculty are very knowledgeable and focus on research and learning as they are very qualified in those fields. The faculty are extremely punctual to college and take keen interest in students personally also. Our is very great ahead in extracurricular activities. No words to describe it.. All time the support is given from the college to students when needed at any cost. The faculties are very supportive and caring. Exam are conducted very frequently.. its has made us tried .no study leaves are provided during exams. Even for sem exams very fee days are given as study leave. Our college is providing us a lot of internships. it was as very good experience learning new new things , improving my skills , speech etc ..The amount taken for this was a reasonable amount and its a affordable amount for all.